Osa is one of the last landscapes in Central America that can still sustain the five species of wild cats in the region: Margay (Leopardus wiedii), Ocelot (Leopardus pardalis), Jaguarundi (Puma yagouaroundi), Puma (Puma concolor), and Jaguar (Panthera onca). 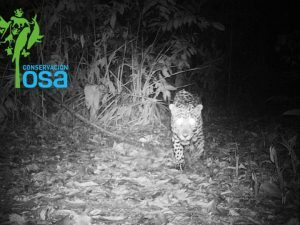 To better understand the conservation needs of wild cats and their prey, Osa Conservation created the Camera Trap Network for the Osa Peninsula in collaboration with National University of Costa Rica (UNA). 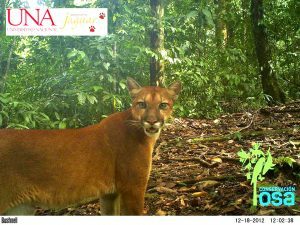 This monitoring program is comprised of camera traps placed on properties throughout the Osa Peninsula- ranging from Corcovado National Park, local eco-lodges, private landowners and Osa Conservation’s properties and Piedras Blancas National Park. In 2017, Osa Conservation collaboratively hosted partners for the very first workshop of the Osa Camera Trap Network. The Network is now composed of more than 20 members in the Peninsula, including Corcovado and Piedras Blancas National Parks, the Golfo Dulce Forest Reserve and Private Reserves. Additionally, more members are expected to join the initiative – producing one of, if not the largest camera trap systems in Central America! Estimating the current density of Jaguar in the Osa Peninsula. Estimating abundance of terrestrial mammals among the different protected areas in the Osa Peninsula. Identifying anthropogenic and environmental factors affecting the distribution and abundance of terrestrial mammals in the Osa Peninsula. 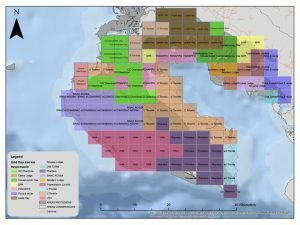 Evaluating the biological corridors in the Osa Peninsula. 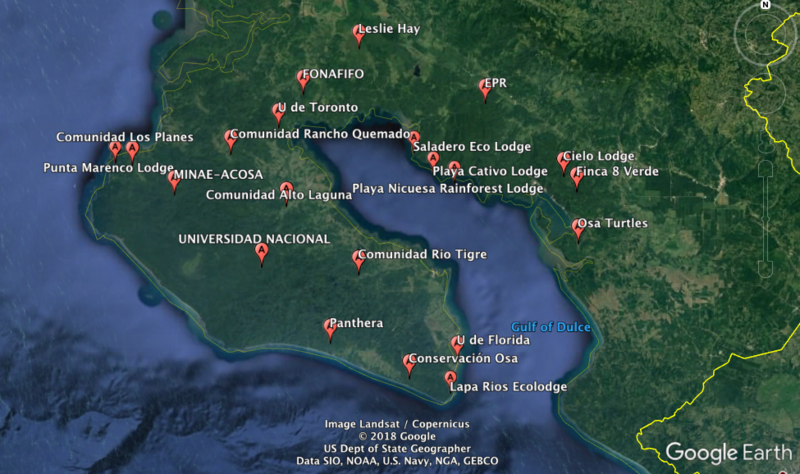 This map shows the team effort for tracking the wild cats throughout the Osa. Each block shows which partner will place camera traps for monitoring. As part of the Osa Camera Trap Network, the cameras are placed in areas with high probability of cat presence. They take pictures based on a motion sensor so every time an animal passes by we have photographic evidence that we can use to learn about the population trends. These images are especially important for the estimation of the density of spotted cats, as they have distinctive patterns among them and individuals can be identified. Our resident jaguar that has been spotted in the area has been named Rukka, or warrior (in the local indigenous language). 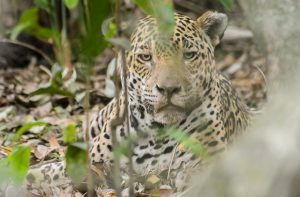 In 1999 the Osa was declared one of ninety “Jaguar Conservation Sites” of the world and one of the most important places for conservation of this species, which is critically endangered in Costa Rica. Based on 25 years of research in the area, conducted by the National University of Costa Rica (UNA), through Programa Jaguar, it is apparent that Jaguar populations are on the decline. These cats need large territories and connectivity between forested areas, or biological corridors. Habitat protection and focus on these corridors is one tool in our kit, but in order to identify corridors in the Peninsula and make informed decisions we need accurate information on their presence and abundance. Working together, we will be able to take on this ambitious and exciting work. We see this workshop as an important stepping stone to mark the beginning of this essential collaboration to help conserve these amazing species and their ecosystems. We would like to give a special thank you to the International Conservation Fund of Canada for their support of the Osa Camera Trap Network. If you would like to find out more about joining this network or supporting our efforts please contact us and stay up to date on the latest sightings on our Facebook page. Read our some of our blogs from 2017 and 2018 about this exciting network here! To support our work for wildcat monitoring and conservation, please consider donating here.